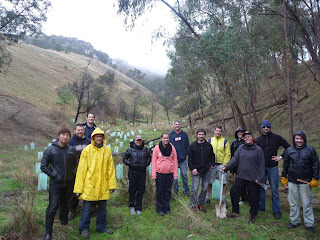 On the 3oth May, Corporate volunteers from JBWere and National Australia Bank descended on the property of Rick and Claire Clark, Wildlfe carers and members of the King Parrot Creek Environment Group. 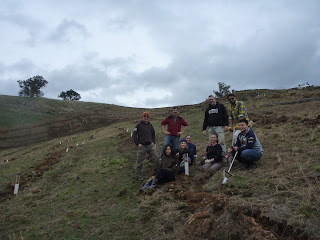 Other members of the group; David, Laurie, Steve and Heather also assisted on the day. We planted 480 native trees, shrubs and ground covers into a narrow gully to provide good cover for local fauna using the gully as a link to the remnant vegetation along the top of the ridge. On 31st May we had a return by one of our ANZ teams for the 4th consecutive year. This year the dedicated bunch helped plant 350 trees and shrubs on a hillside at Paul and Denise Webster’s property in Murrindindi. The Webster’s treated us all to a great lunch of roast beef rolls and salad which everyone appreciated. 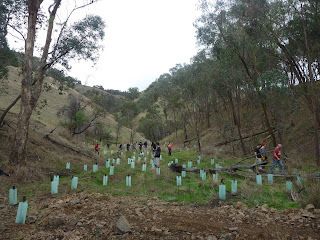 And just over the hills at Limestone on 26th May another NAB team put in a great effort to plant out a fenced off gully at the property of Judy Brookes with 320 indigenous plants. 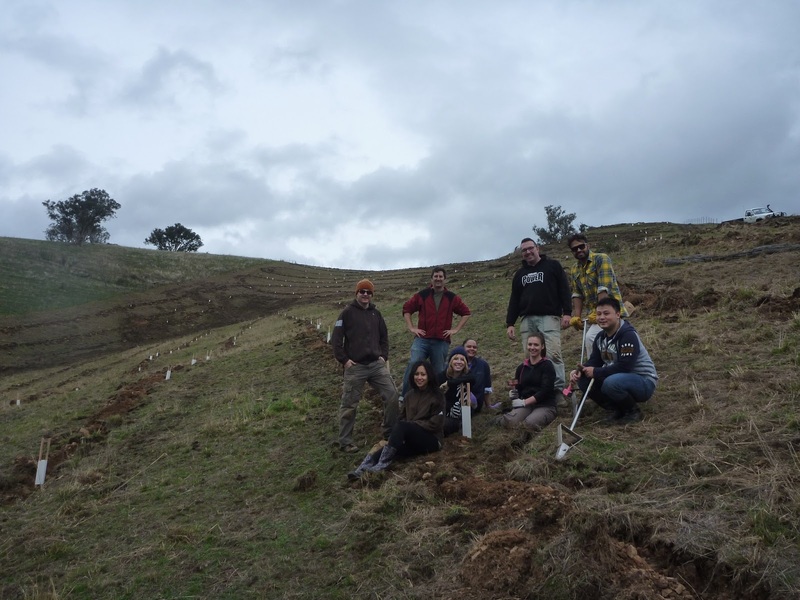 These plants will help to halt the erosion in the gully and also eventually provide a wildlife corridor linking the remnant vegetation on the Brookes farm with the Black Ranges in the east and the Yea River in the west.